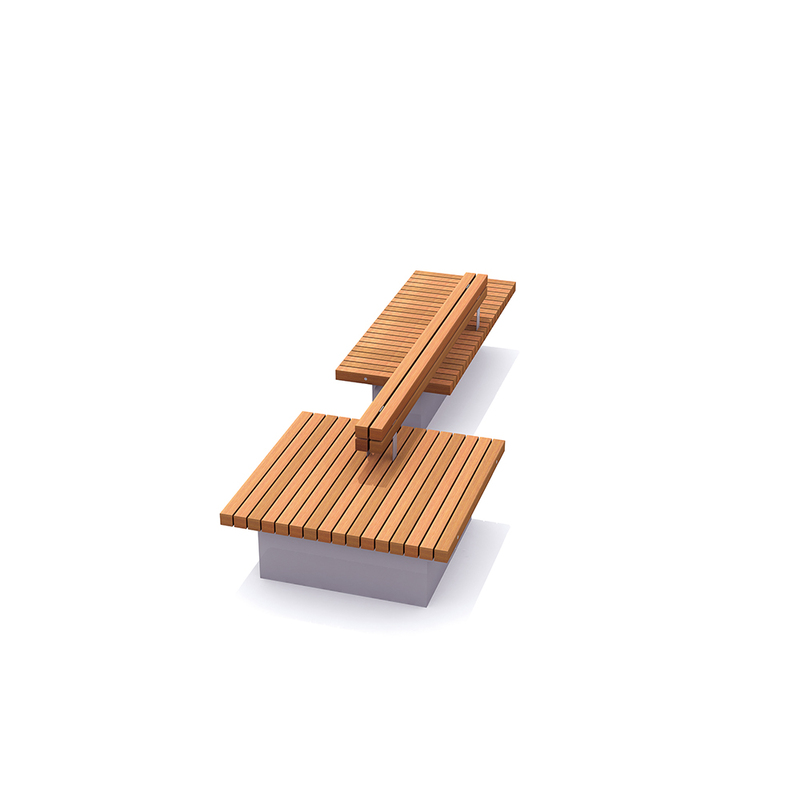 With the Solid Base Benches the 7x7 cm - 2.8”x2.8” Solid slats are laid crosswise. 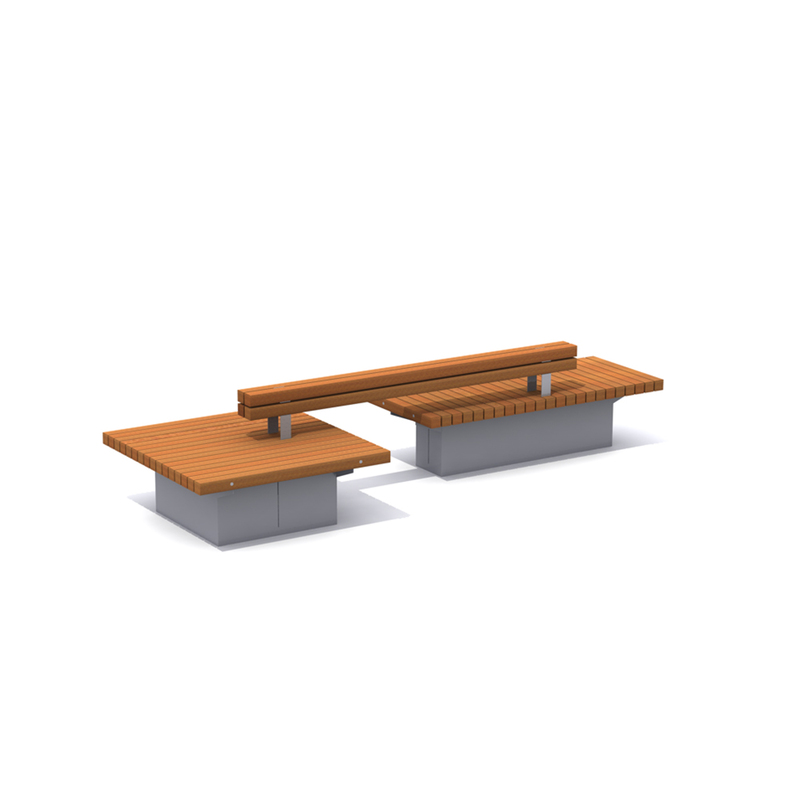 The base construction is made of shot-blasted aluminium or galvanized steel. 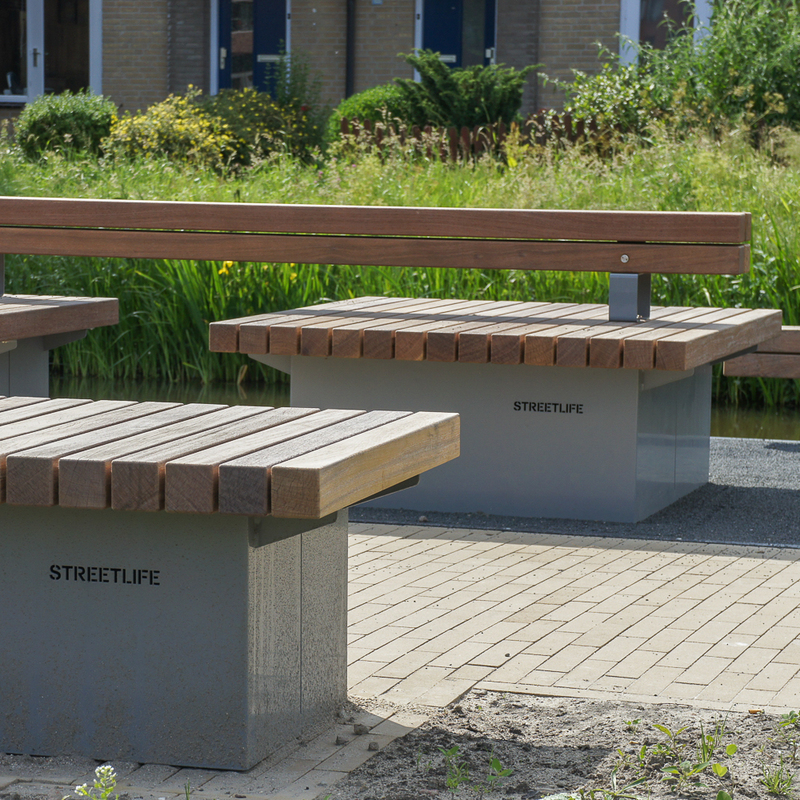 The attractive finish of the bases and their combination with warm, FSC® hardwood makes the benches suitable for making inconspicuous way finding arrangements in various configurations; available in square or elongated versions. 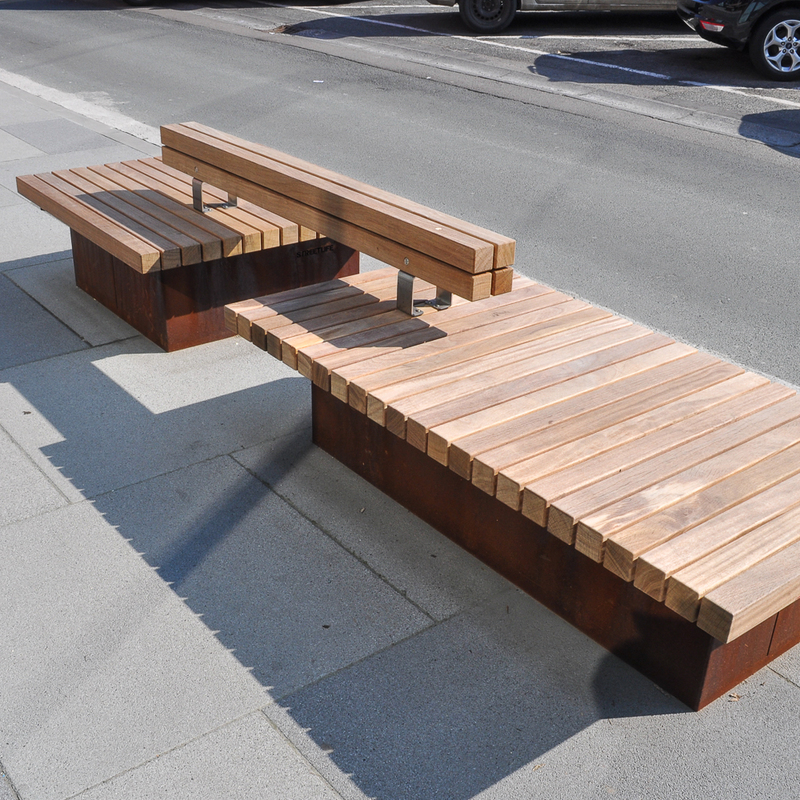 Available in standard lengths ca.120, 180 or 270 cm | 47",71" or 106"